Atelier Meruru In Stores Now for the PS3! 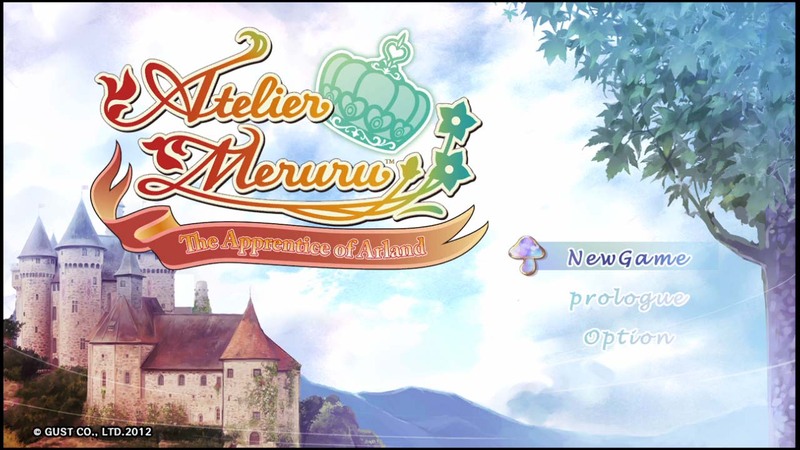 The long awaited finale in the Arland trilogy of the aforementioned Atelier series, Atelier Meruru: The Apprentice of Arland is now available in North America for the PS3. It was released last week in Europe for those who were not informed. What makes this game special is that it continues the trend of improving nearly everything that makes this series unique, like the special aspect that the more work you put in the more you get out of the experience. What also makes this particular series great is its accessibility. Gust made strides to make the game less strict on players to invite new comers who want to jump in the second or even third installment without missing out, by not having difficult gameplay mechanics scare them off. For example, making the time limit more lenient, so they can have more time having fun and spend less time worrying about the clock above. The game, like its predecessors, stars a new protagonist named Meuru. Meruru is the princess of Arls, a little kingdom situated in the far north of the Arland republic. After her father and Gio, the leader of Arland, discussed the merging of the two lands, she met Totori (Protagonist of the last game and second game in the trilogy, Atelier Totori), the now-graduated alchemist. Dazzled by the power of alchemy, and with a desire to help her country prosper, she forced herself on Totori as her first student. Rorona (Protagonist of the first game in the trilogy, Atelier Rorona) also joins the two but has been turned young by her master Astrid after drinking an experimental potion of youth. *Note* Video was shown before NISA delayed the game, the release date was originally May 22nd, but was officially released today. Want to see more games like this make it stateside? Join this group to show your support.